More than three years after the release of Spider-Man 2, McSweeney’s has posted online the never-before-published script Michael Chabon wrote for the film. 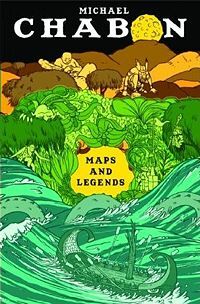 McSweeney’s released the script in honor of the publication of Maps and Legends, Chabon’s first nonfiction book. To read the entire 252-page script, click here. Michael Chabon’s first non-fiction book, Maps and Legends, will hit stores this spring. McSweeney’s is touting it as Chabon’s first nonfiction book. It is not to be confused with a previously announced, untitled nonfiction essay collection on what it’s like being a man in terms of being a son. That book is expected in spring 2009 from HarperCollins. “Throughout, Chabon energetically argues for a return to the thrilling, chilling origins of storytelling, rejecting the false walls around “serious” literature in favor of a wide-ranging affection,” McSweeney’s says. – “Guidebook to a Land of Ghosts,” from Harper’s Magazine in October 1997. – “The Recipe for Life,” from The Washington Book World in 2000. – “Maps and Legends,” from Architectural Digest in April 2001. – “Inventing Sherlock Holmes,” from The New York Review of Books on February 10, 2005. – “The Game’s Afoot,” from The New York Review of Books on February 24, 2005. – “On ‘The Mysteries of Pittsburgh’,” from The New York Review of Books on June 9, 2005. – “After the Apocalypse,” from The New York Review of Books on February 15, 2007. The publication date seems to vary on who you check with. McSweeney’s says February; Amazon claims March 28. The book is priced at $24. According to Chabon, all proceeds go to San Francisco-based youth writing center 826 Valencia and McSweeney’s. HarpersCollins will publish a paperback version in 2009, Chabon said.